favourite ,movies & games – This site will be about the top ten movies and games i thimk should get more credit. thank u for visiting. This site will be about the top ten movies and games i thimk should get more credit. thank u for visiting. 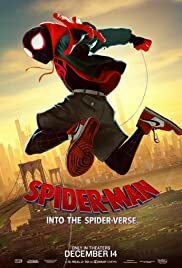 Synopsis: This animated film starts with Peter Parker introducing himself as we know him, the friendly neighbourhood Spider-Man. By now, everybody knows how big he is, what with saving New York constantly, getting his own comics, cereal, and even a Christmas album. He does have some things he’s not proud of, but he takes his duties as Spidey proudly, as he is the one and only. 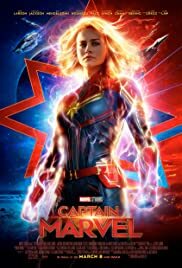 Synopsis: Carol Danvers becomes one of the universe’s most powerful heroes when Earth is caught in the middle of a galactic war between two alien races. But when the human world start to know these aliens, they realize that they were good and were just trying to find a home. Synopsis: Ever since his adventure in the center of the Earth, Sean Anderson has been looking for other places mentioned by Verne and other Vernians. He is notified about a coded message, and breaks into a satellite facility to fully receive it. 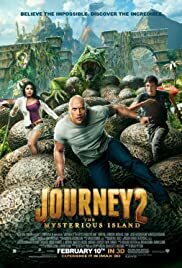 With the help from his stepfather Hank he decodes the message leading him to find the map that leads him to Verne’s mysterious island. Along with Gabato and Kailani, Sean embarks on a mission to find his grandfather, the legendary Vernian Alexander. But unexpected problems arise as Alexander made a mistake that could change everything. Synopsis: Journalist Eddie Brock is trying to take down Carlton Drake, the notorious and brilliant founder of the Life Foundation. While investigating one of Drake’s experiments, Eddie’s body merges with the alien Venom — leaving him with superhuman strength and power. Twisted, dark and fueled by rage, Venom tries to control the new and dangerous abilities that Eddie finds so intoxicating. Movie synopsis: From filmmaker Steven Spielberg comes the science fiction action adventure “Ready Player One,” based on Ernest Cline’s bestseller of the same name, which has become a worldwide phenomenon. The film is set in 2045, with the world on the brink of chaos and collapse. But the people have found salvation in the OASIS, an expansive virtual reality universe created by the brilliant and eccentric James Halliday. When Halliday dies, he leaves his immense fortune to the first person to find a digital Easter egg he has hidden somewhere in the OASIS, sparking a contest that grips the entire world. When an unlikely young hero named Wade Watts decides to join the contest, he is hurled into a breakneck, reality-bending treasure hunt through a fantastical universe of mystery, discovery and danger. Movie director: Anthny russo, Joe russo. Movie actor: Josh brolin, Anthony russo and Joe russo. Movie synopsis: Iron Man, Thor, the Hulk and the rest of the Avengers unite to battle their most powerful enemy yet — the evil Thanos. On a mission to collect all six Infinity Stones, Thanos plans to use the artifacts to inflict his twisted will on reality. The fate of the planet and existence itself has never been more uncertain as everything the Avengers have fought for has led up to this moment. Movie synopsis: A secret government agency recruits some of the most dangerous incarcerated super-villains to form a defensive task force. Their first mission: save the world from the apocalypse. Now armed with government weapons, Deadshot, Harley Quinn, Captain Boomerang, Killer Croc and other despicable inmates must learn to work together. Dubbed Task Force X, the criminals unite to battle a mysterious and powerful entity, while the diabolical Joker launches an evil agenda of his own. Movie synopsis: As scott Lang balances being both a super Hero and a farther, Hope Van Dyne & Dr. Hank Pym present an urgent new mission that finds the ant man fighting alongside the wasp to uncover secrets from their past. The urgent mission soon leads to secret revelations from the past as the dynamic duo finds itself in an epic battle against a powerful new enemy. Main actors: The main actors are random players there are over 200 skins in fortnite and they are different levels such as defult,common, rare, Epic and legendary. Gameplay synopsis: A cooperative shooter-survival game for up to four players to fight off zombie-like husks, defend objects with fortifications you can build, and a battle royale mode where up to 100 players fight to be the last person standing.